I am an urban photographer. My choice is South Africa because it has good places for both landscapes and wild life photography. As a travel writer and photographer I venture into all natures of photography, but I would have to say I am more the outdoors photographer, on the move, constantly travelling. 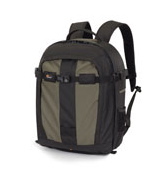 I have been on the look out for a pro bag I can use for my camera and as a daypack when hiking and checking out cities, the Pro Runner 300AW would be perfect for this. Lots of room for my cameras and some extra space for my essential notebooks and pens. Love it! I am urban and outdoors. I just started taking thoughtfully composed photography, but the concrete jungles and lush Appalachian trail of America’s North East offer different and beautiful opportunities. Outdoors all the way and this bag would be a much needed addition to the smaller, yet much loved, Lowepro Slingshot 100 that I currently own. My Lowepro Maxi mag 35 has served me well for over 10+ years, now it is time that I win the Pro Runner 300 AW, as a live music photographer I travel Urban. I shoot where ever when ever, Indoors And Outdoors i love them both.